Laura Jennifer Edwards, AKA, the Irreverent Artist creates intuitive artworks that reflect and convey a complex emotional landscape. She works across a wide range of media, combining simple, yet effective techniques that communicates the complex nature of the human soul to a wide audience. 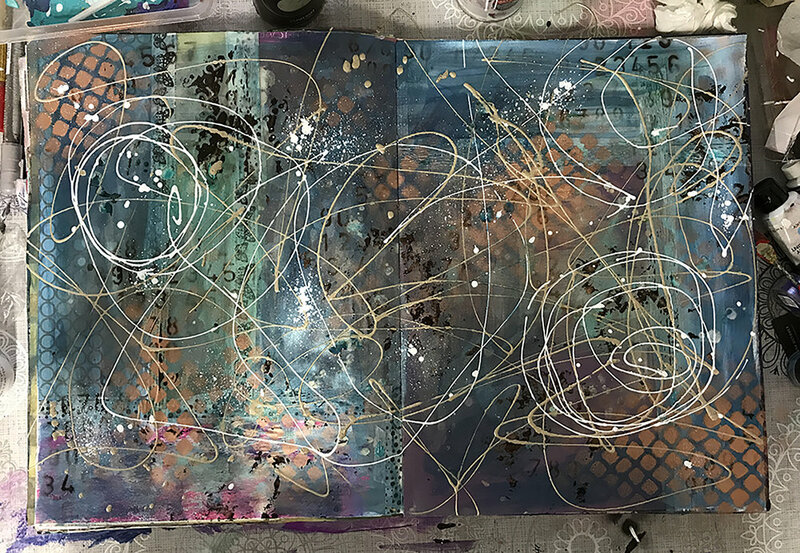 Working on large canvasses of 40" upwards, or on walls, we use textural elements, dark spaces and flashes of bright colour to create dynamic works. Visual journaling is key to our work. 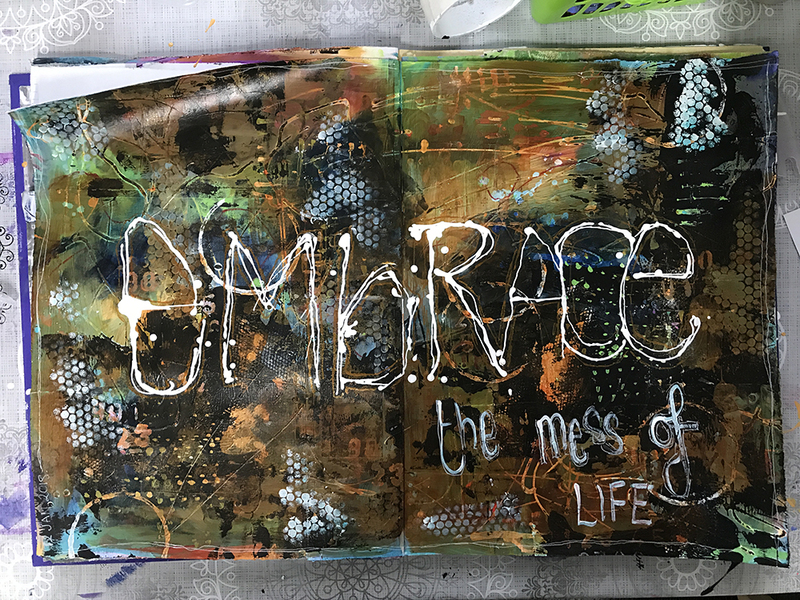 Journals are a wonderful place to work out emotions, to test colour palettes and new ideas without pressure. Those spaces can be large canvasses such as the 40" square which has become my favourite go-to canvas panel to work on, or those spaces can be on walls. I love to paint murals. I also love to take huge watercolour sheets and fill them with collage, paint, use up my left over paints on them and then cut them up to be reused as something else. People refer to these as my firework paintings. I suppose because many of them have huge bursts and pops of intense bright colour that remind them of a night sky, lit up and exploding in rainbows and showers of colour. Im constantly refining, experimenting and adding layers to small canvas panels. 7" x 9" is always a good little size. The challenges of working small are similar to working big. You have a space to fill and a message to communicate. The only decision you must make is the best way to convey your story in a smaller space. I began this project to prove to myself, as much as anyone else, that a small investment of time every day can give you an ample opportunity to create work you love. 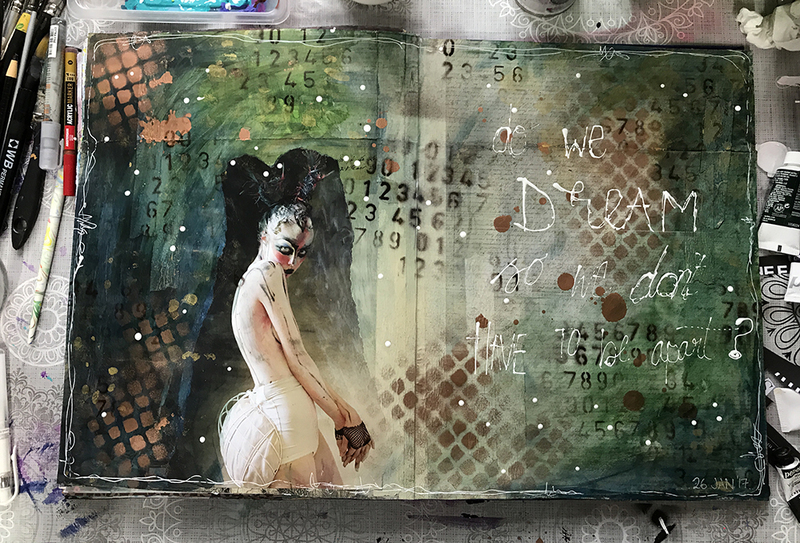 I work in my art journals and film my process.